Illuminated by exquisite photographs of eleven species of birds, a spareand elegantpoem inspires readers to open their wings and soar. Baby robins, open-beaked in their nest. Mallards winging to a new clime. Whether chickadees or cardinals, sparrows or starlings, here are commonly seen birds in their natural settings, captured in photographs of rare beauty and grace. In perfect synchrony, a lyrical narrative evokes images of play and flight, perseverance and trust.At the end, readers will find profiles of the featured species. This stunning book is an ideal gift for bird lovers of all ages, graduates, or anyone embarking on an adventure. 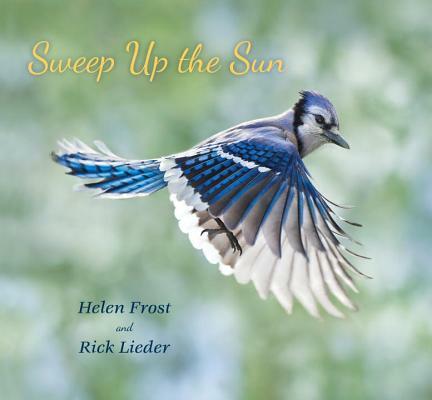 Helen Frost is the author of Step Gently Out, also with photographs by Rick Lieder, as well as Monarch and Milkweed and several novels-in-poems for children and young adults. She lives in Fort Wayne, Indiana. Rick Lieder is the illustrator of Helen Frost’s Step Gently Out as well as a nature photographer, artist, and book-jacket designer. He lives in Michigan. Lieder's breathtaking photography carries the book's message of growth. Frost's poem encourages youngsters to leave the nest, "trusting" the sky to "hold you / as you learn to fly." ... All-around gorgeous; Frost and Lieder again showcase the splendor of nature through the happy marriage of literal and figurative images. Frost and Lieder follow Step Gently Out with another winning combination of sensitive verse and striking photography, this time taking an inspirational approach that makes the book equally well-suited for graduation gift-giving and moments of everyday encouragement. With a gentle text and dramatic visuals, this book has much to offer beginning birders, science classes, and storytimes for very young listeners. For bird lovers of all ages, this small book offers a glimpse of feathered friends not otherwise often seen so close-up. A superb intersection of science, literature, and visual arts, this book can be used to initiate studies of flight, enthuse bird watchers, or inspire creative classroom projects.